Shirts With Random Triangles: This just in: David Pollack plays Fortnite. David Pollack. Image via Gridiron Now. This just in: ESPN College GameDay’s David Pollack has revealed via Twitter that he plays Fortnite. Fortnite is so amazing!!!! I know I’m in my 30’s but it is so awesome! Random tweet for the day! It shouldn’t be a shock that the 36 year-old former Georgia linebacker-turned ESPN analyst plays the wildly popular video game. SB*Nation recently ran an expose on college football recruits and their strategies for winning the game (or at least surviving long enough to get a few kills). 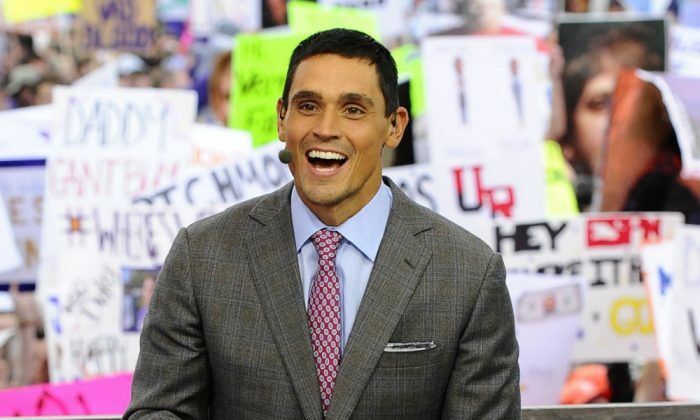 Hopefully, some intelegent ESPN College GameDay face in the crowd brings a “David Pollack plays Fortnite!” sign to one of the program’s broadcast sites this fall.